According to CPWR, the following information is an overview on the dangers of silica exposure. these materials can contain crystalline silica particles. These dust particles are very small and invisible to the naked eye. When inhaled, even in very small amounts, silica dust can cause serious health hazards. Each exposure to silica adds to the lung damage. 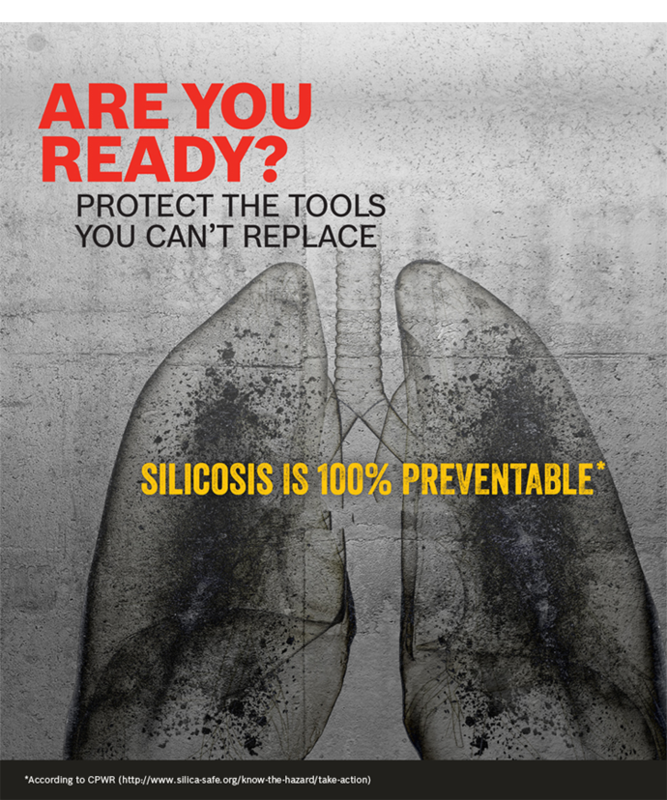 Silicosis is a disabling, irreversible, and sometimes fatal lung disease. When a worker inhales crystalline silica, the lungs react by developing hard nodules and scarring around the trapped silica particles. If the nodules become too large, breathing becomes difficult and death can result. There is no cure for this disease, but it is 100% preventable. Then the answer is YES! lung cancer, tuberculosis (in those with silicosis), and chronic obstructive pulmonary disease (COPD). In addition, silica exposure has been linked to other illnesses including renal disease and other cancers. In 1996, the World Health Organization — International Agency on Cancer Research (IARC) identified crystalline silica as a “known human carcinogen” (they reaffirmed this position in 2009). The American Thoracic Society and the American College of Occupational and Environmental Medicine have also recognized the adverse health effects of exposure to crystalline silica, including lung cancer.